Hacking other games to see how they were written. I’m going back to the good old days when we could ‘break’ the ZX Spectrum game and view the source, or disassemble the games on the Atari ST and hook/hack them through debuggers and monitors. I watched Philip Hödtke's talk from JS Unconf 2016 yesterday " Hacking Games and Why You Should Do It." and added a few new techniques into my ‘cheating/hacking’ repertoire. I encourage you to watch Philip’s talk. I haven’t been using the find functionality in the source part of the browser dev tools. I had an over-reliance on adding breakpoints and don’t need to. I had not been using setInterval from the console. 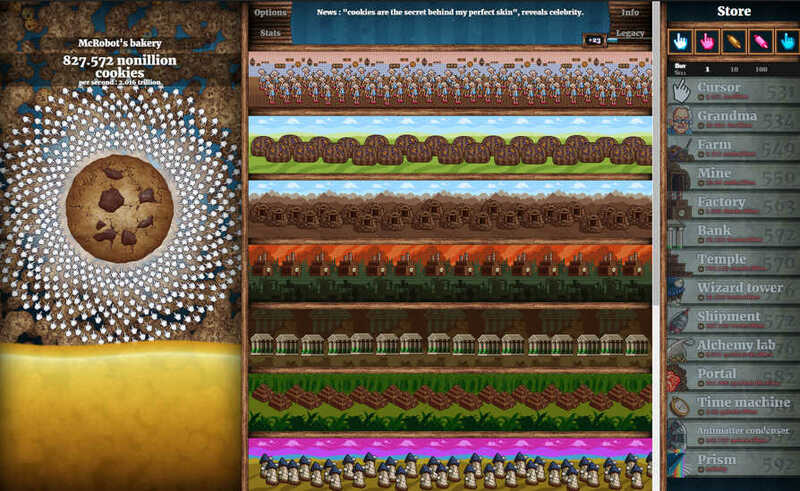 After watching I went off and tried the cookie clicker game that Philip demonstrates. But I Test Things, Why Should I Care? Imagine that instead of having to use an automated tool to put the application into a certain state, or having to manually click around a do a lot of work. Imagine that you could just write a few lines of code into the browser console and automate there. Imagine that you could write a single line of code that would execute every second and ‘do stuff’ like click on a link, or close a dialog, or <insert something in here that you regularly have to do when you use an app>. I describe an example later in this post of a one-line automated ‘bot’ that could play a game better than a human (me). And I did quite well. I used a slightly different approach than Philip used and found that for loops worked better for me than setInterval when manipulating as I explored, in this game. I went off to find games where setInterval was a better fit for me. First The World’s Biggest Pac-man where setInterval was a great way to provide infinite lives, restoring a new life each time one was lost. Had such obfuscated code I could make no headway. I tried some typing games but encountered the “how do I trigger keyboard events” stumbling block. And then I went back to that old favourite zty.pe. I’ve played zty.pe before. I really like it. I suspect I might end up playing z-type quite a lot https://t.co/Un6YG2SrKx just to improve my typing you understand. I periodically still play “Typing of the Dead” on the Dreamcast. Yup. I have a Dreamcast with a keyboard. I periodically still play “R-type” - primarily from “R-Types” on the Playstation One (Yup, I still have a PS1). Given both of the above. I really like ZType even though I’m not very good at it. If You Can’t Trigger Keyboard Events, How Could You Play ZType? Well, zty.pe is pretty well-designed. 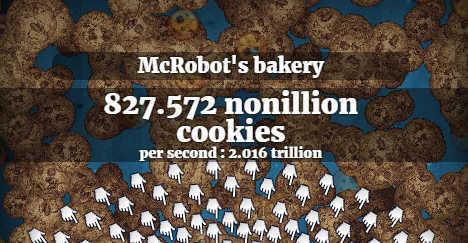 It's almost as though it was built to be tested and automated. rather than add the ‘shoot’ functionality in the keyboard event hook, so that the only way to trigger it, is by issuing a keyboard event. If this was an app you were testing and automating, it means that you can automate most of the app by calling the ‘shoot’ method. And leave the risk of ‘do keyboard events fire on this platform’ to a much reduced test scope with a different test approach. I only managed to reach level 15, but my automated ‘bot’ reached level 93. You can see the results of my automating here on youtube. I’m not going to explain exactly what I did since that would ruin the fun. And the video doesn’t show you how either. Use ‘find’ to search for classes and variable you find in the source. If you type something into the console and it comes back with ‘function’ then you need to find where the class is instantiated in the code. Use ‘find’ to search for ‘new’ instantiations of the classes. You can do a lot of exploration and manipulation with ‘for’ loops. For bots, you’ll need to use setInterval. I assign the result of setInterval to a bot e.g. ztypebot = setInterval(...) so that I can shut the bot down later with a clearInterval(ztypebot). Find some ‘quick hacks’ that you can use early in your investigation to give you more room to find a better hack e.g. when automating ztype, I started with a bot that had infinite emps and triggered an emp every 2 seconds, and when that was working it gave me time to experiment with the objects and source to figure out how to make a bot that could shoot properly. Keep notes as you go about what you tried, and how you found the objects. Sometimes I start by working through the code and look for hints as Philip demonstrates. Sometimes I start by looking to see what code is triggered by the Event Listeners in the browser dev tools. Sometimes I breakpoint code that I think is interesting. They key (and Philip demonstrates this well) is to find the big ‘namespace’ type objects as early as possible. And do make sure that you don’t submit any high scores after ‘cheating’ or ‘hacking’ in this way, it is most annoying to other people. A proxy tool can help avoid you accidentally sending a high score by blocking any high score submissions e.g. Fiddler’s auto-responder works well for this. If you find any good games to play with, let me know.